We include everything you need in a convenient starter kit. 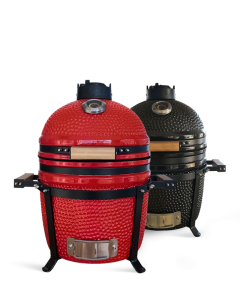 *All our models come standard with a limited lifetime warranty. 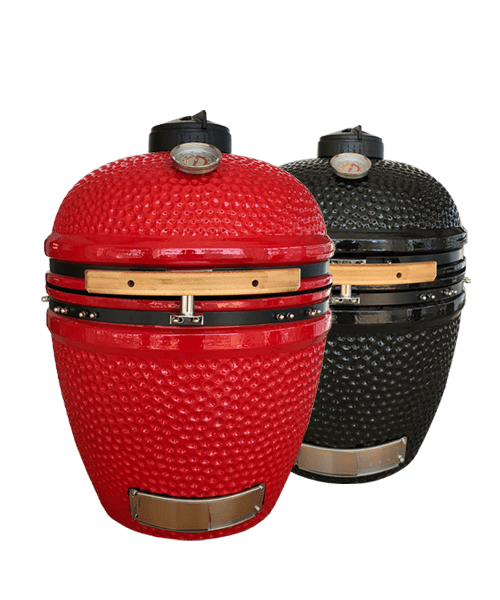 The Divide & Conquer system has been designed to give you flexibility when it comes to cooking with your Kamado JAN, offering more versatility than with a standard grate. The Divide & Conquer system consists of the deflector plates, half-moon grids and the multilevel frame. These components can be arranged according to your unique cooking requirements offering you flexibility and ease of use. Multi-level cooking allows for different cooking methods with different heat zones. These are just some basic configurations, but the possibilities are endless with this flexible system! 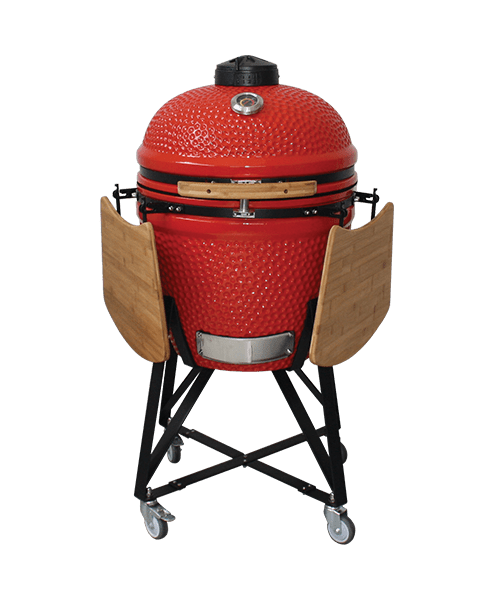 All Kamado JAN units come with the finest quality stainless steel and Bamboo finishes to accent the ceramic. 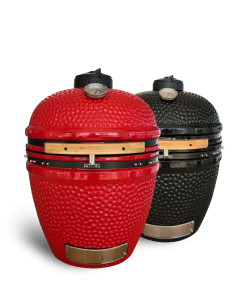 Each Kamado JAN is made from only the best ceramic material and gets put through a process of quality control. 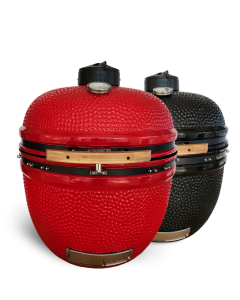 All Kamado JAN's come standard with high quality bamboo handles to easily operate the lid. The Temperature Regulator allows the user to accurately cook food with precision. 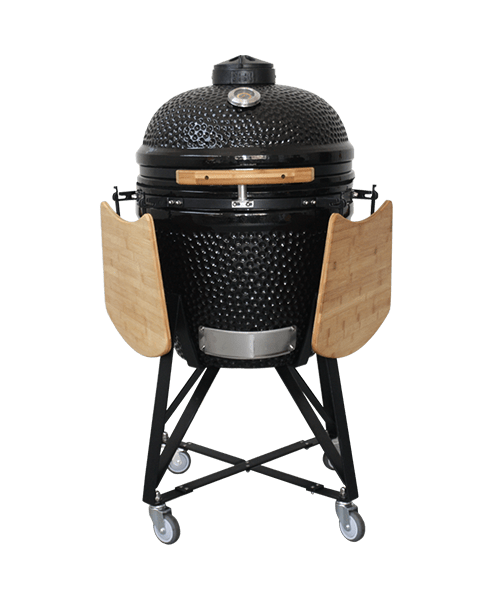 The 20, 21 and 25 inch Kamado JAN's come standard with collapsible side shelves that provide ample work surface. 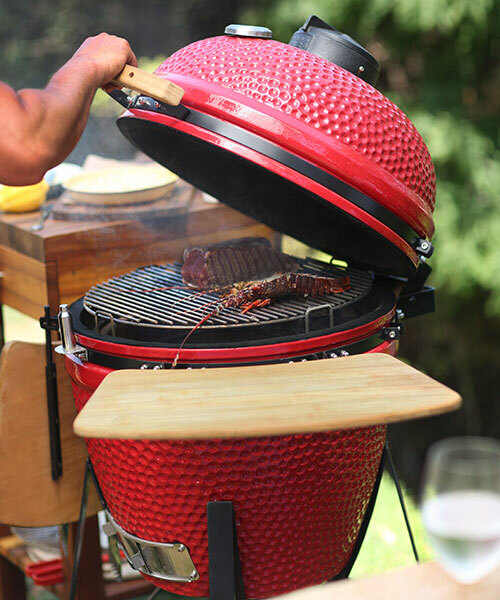 Anyone looking for the most versatile outdoor grill that’s even capable of making pizza? Look no further! Jan large is the ultimate all-rounder. It has enough grid space to feed a mid-sized party or dinner for two while you entertain like a boss! Fit up to 5 whole chickens at a time. With jan you don’t have to be shy to put it to the test. It’ll always deliver. Jan is made from the finest quality ceramic material and heavy duty components that will never let you down. JOIN THE FOOD REVOLUTION TODAY!